Dove's Nutritive Solutions new range includes their Colour Radiance haircare range made specifically for those with coloured hair. Dove's NEW Colour Radiance Shampoo and Conditioner is made specifically for those with coloured hair. It looks to nourish and protect colour-damaged hair whilst keeping it vibrant, soft and shiny. Since I have coloured hair, it was starting to look dull and less vibrant so this was the perfect range to take this to the test. Both the shampoo and conditioner looked to do a decent job in looking to cleanse my hair as well as leaving it smelling very freshly scented. However, I did notice that it made my hair look much brighter and softer which is great when you have coloured treated hair (Sometimes when you don't use the right products, you'll find your colour fading which doesn't look good!). Rinsing off the shampoo took longer than expected but I guess this is because it doesn't look to strip the colours off your hair which is better for you in the longer run. A tip to ensure that you effectively utilise the shampoo and conditioner is to not use too much. A little definitely goes a long way because the formula of this range comes quite thick. This is a very pleasant haircare range to try out if you do get your hair coloured quite often because it just helps to retain your colour for longer as well as leaving it looking more brighter and vibrant. Available at leading supermarkets and pharmacies nationally. What are your thoughts on the NEW Colour Radiance range by Dove? 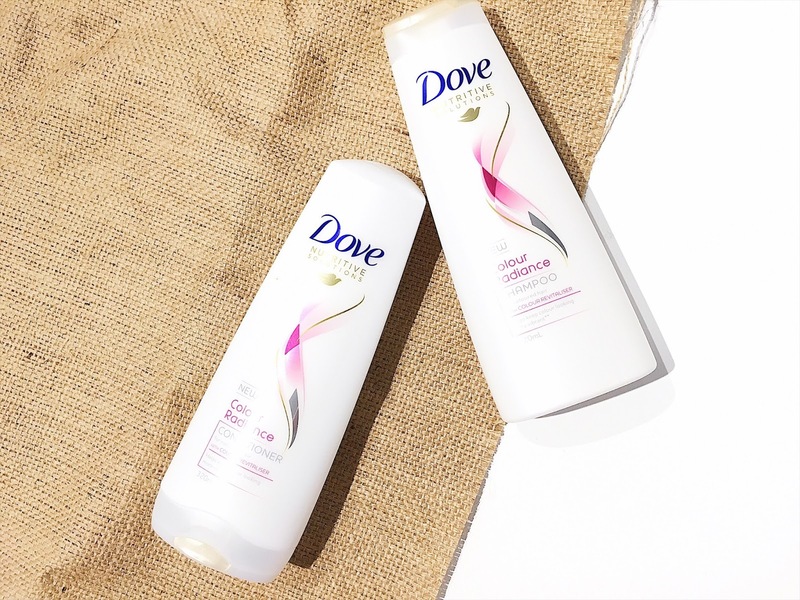 Thank you Dove for supporting me for this review. My reviews are based on my own experiences and I only recommend products that I truly believe in.